The season was supposed to end when Niklas secured the silver in the european championship and in the Italian cup for Trofeo Abarth Cup. However, his success didn�t go unnoticed and it didn�t take long before Maserati called him and offered him a test drive. 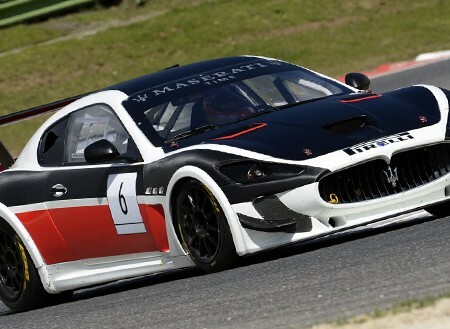 Niklas did an impressive test drive which resulted in a new offer from Maserati: the finale in Trofeo Maserati Championship! So this weekend Niklas headed down to Abu Dhabi and the beautiful Yas Marina circuit for this great challenge. However, his season filled with technical problems and other obstacles, seemed to follow him down to Abu Dhabi as a broken servo pump finally had him break the race. Until then he had managed to qualify to start as 8th car in the finale. Very impressive considering he had never driven the car before. Even though Niklas had an unlucky end to the year we are very impressed of what he achieved this season and we wish him all the best in 2015 - Go Niklas!